For years now, the child custody model has stayed more or less stable. Custody, in an overwhelming majority of cases, was given to the mother, while fathers had visitation rights. However, the situation is changing, partly due to demands by fathers’ groups, who insist, that they must be given a greater share in child custody decisions. This is where a Leadville child custody law firm can help. The Colorado Senate, in response to an appeal by a father, who believed that his rights were being violated by existing child custody guidelines, passed a shared parenting bill in January. The bill would require courts to explain in writing, why considered a custody order that did not involve shared parenting, in the child’s best interests. The legislation was passed by the Senate last month, and is currently pending in the House. Colorado’s bill is not unique, by any measure. Across the country, at least 20 such bills are currently pending in various stages as fathers’ advocacy groups increase pressure on the system. However, critics of shared parenting believe that in many of the cases where fathers go to court for a shared parenting arrangement, the child wouldn’t benefit from the arrangement at all because these parents are unable to get along with each other, which is why the case goes to court. Shared parenting is only recommended when the parents have a mutually cordial and respectful relationship with each other, and are willing to compromise for the child’s interests. To understand whether a shared parenting arrangement could work in your situation, speak to a family lawyer. Besides, critics argue that any law mandating shared parenting could be dangerous, because they could be used by abusive fathers in negotiations, and could expose families to domestic violence situations. 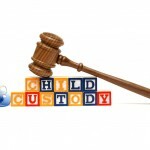 Child custody cases are often best settled out of court. For help settling a child custody dispute, speak to a Leadville family lawyer.